Patrick Forge has put together another fiery compilation, Brazilian Funk Experience, out now on Nascente Records. 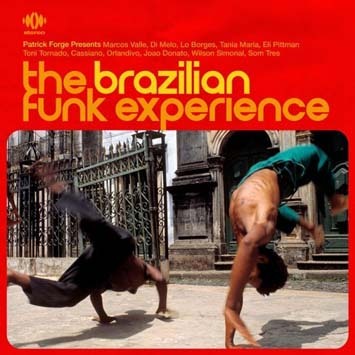 The album hooks into Forge's personal love affair with the funky 70s Brazilian sound presenting 20 solid gold Brazillian nuggets, most as rare as hen's teeth and on CD for the first time. Patrick Forge hosts the monthly Brazilian Love Affair night, and together with Phil Asher he takes care of the weekly Inspiration Information session. Check our programme for dates.